Flip a coin 5 times. For every heads, add 30 damage. If no heads, take 30 damage and skip next turn. Flip a coin. 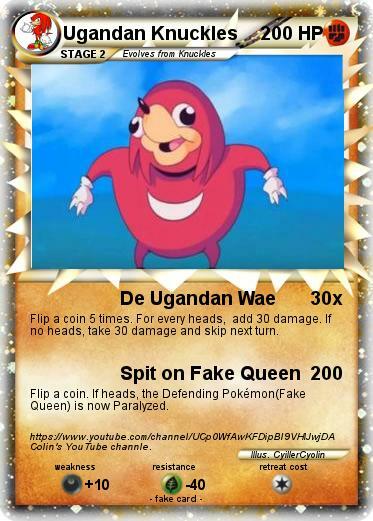 If heads, the Defending Pokémon(Fake Queen) is now Paralyzed. Comments : https://www.youtube.com/channel/UCp0WfAwKFDipBl9VHIJwjDA Colin's YouTube channle.